Today, I will tell you about my moodboster. It makes me happy suddenly and feel relax. If I have a bad day, I will find it. Yes, my moodbooster is Beng Beng. A chocolate made by Mayora Company. Beng beng is really my moodbooster, because I will find it whenever I stress or under pressure. When I was working in my previous job as an administrative staff, I usually got stress. My boss always gave me a pressure with a lot of works. Therefore, when my working hours stopped, I went to the market to find beng beng and it works. So, when I was home, I was in a good mood mode. It is really helpful for me. Do you know how boring is it waiting for someone or an event? I do. It is really boring. I am bored when I am waiting for my boyfriend or my father to pick me up. Therefore, beng beng is my solution for me to be patient more. When I have to wait, I always prepare beng beng in my bag. Therefore, when I start to feel bored, I just take one from my bag and I am ready to wait longer. Last, when it was given by someone special. I think it is the best time to get you mood in a great mode. When you have a really bad day, and you have to wait your father to pick you up at your school or your work place, then somebody came to you and give you beng beng, what do you feel? I feel magnificent. It is like everything that we have been through are paid. It’s really mood booster for me. 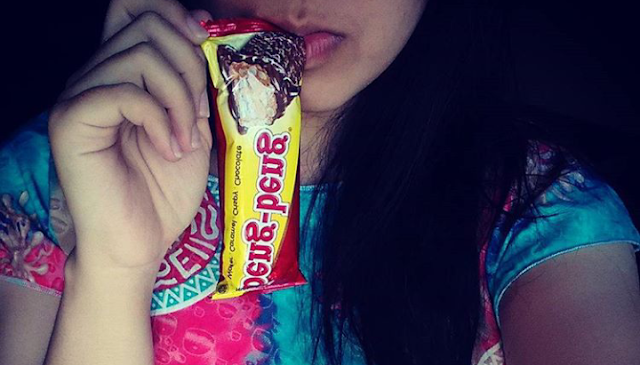 Beng beng is so delicious. It becomes my favourite chocolate. Comparing with Silver Queen, Beng beng still win. I really proud as an Indonesian people, that my country can produce this amazing chocolate. 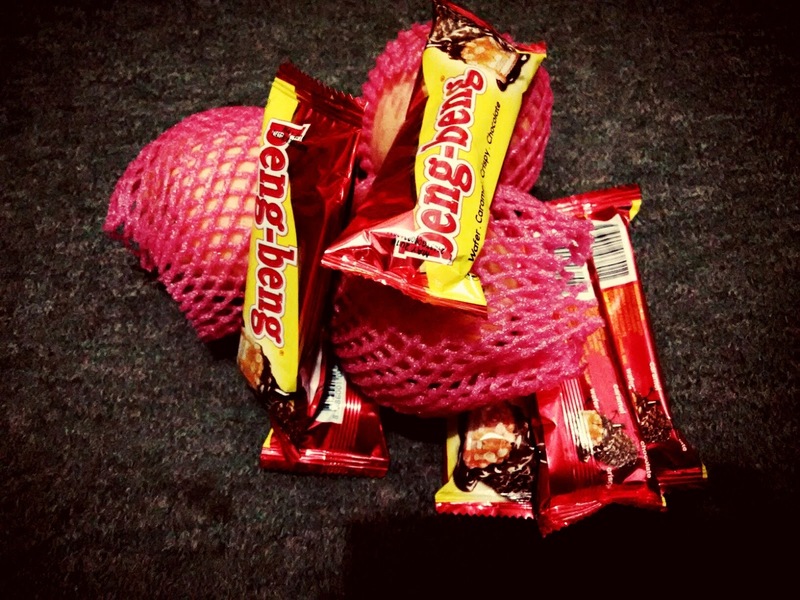 Knowing that Beng beng is my favourite chocolate, my boyfriend always gives me four beng beng for one day when I was still at the same work place with him. He knows that I easily get stress at the work place. Therefore, when I was in a bad mood, he suddeny put beng beng on my desk and smiled. He said “Enjoy the Beng beng”. Aaa.. I see.. your mood booster... is easy to get.. Haha...even though you are a woman, the most complicated human being in the world, but this post proves that you are also "simple". No, absolutely no, I didn't think to buy you any beng-beng, no :p because you already have a boyfriend. Haha the most complicated human being.. is woman really that complicated? lol.